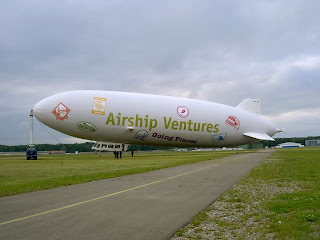 We thought we'd make sure she was recognizable as the Airship Ventures ship. The concept is similar to the luggage labels or stamps of old. She's got quite a journey ahead of her, but she'll be Going Places. The stamps you see here, drawn by Rob Walker and designed by Matthew and Maria, are San Francisco, Hollywood, Treasure Island, Lake Tahoe, Napa Valley, Yosemite and Moffett Field. Better pictures of the branding later.